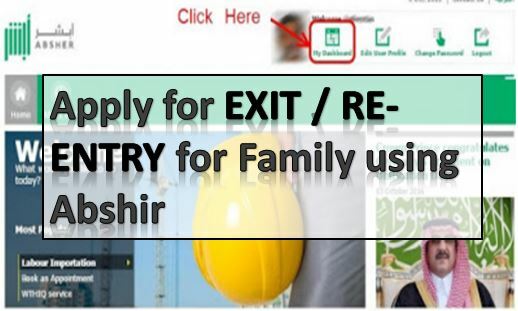 From MOI Saudi Arabia online system you will be able to issue Exit Re entry Visa for Family member which were dependents on you. 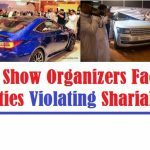 To get exit re entry visa for family you must be a permanent visa holder of Saudi Arabia. The aim behind providing this service online is reducing the pressure at passport department jawazat and saving the time of expatriates many of people wait for their turn for issuing of exit re-entry visa some of them waited for long time but when their turn comes the officer shut down the process due to end of work hour. 1. Deposit Exit Re entry fee through you personal bank by logging in your online banking account you must have to deposit fee under your dependent . 2. Goto your MOI Abshir account if you already registered it if not than follow this to register your account on MOI Abshir. 3. After logging in your Abshir Account, Click on passports located at left sidebar. 4. Click on “Dependents Services” here you can see the complete list of those who were depended on you. 5. 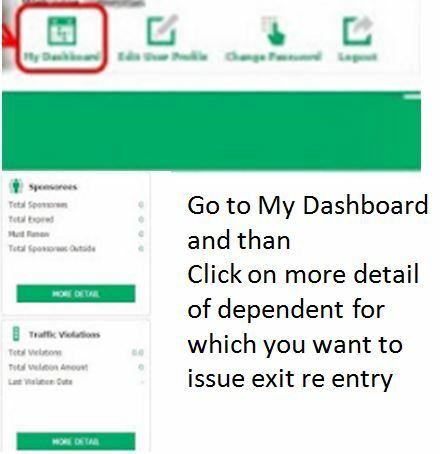 Locate the dependent for which you want to issue exit re-entry visa “Click on More details” written after each dependent. 4. 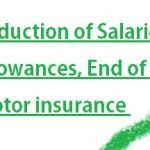 Now you will see all details about your dependent. 5. At the end of the page click on “Issue Visa“. If you deposit the fee of exit-reentry visa than you will see the option of passport fee deposit otherwise not. 6. A window will be open with several “Terms and Condition” must read them carefully so you do not get in any type of problem. Click on Ok to complete the procedure. Must take print out and keep this with you while travelling. As MOI website is not more allowing print out of exit re-entry but you can take the print out by using visa number and confirmation number using Visa Validity Service.